U.S. envoy says key fight vs. ISIS in "final stages"
HAMAM AL-ALIL, IRAQ -- A senior U.S. official says the fight to retake Mosul from the Islamic State of Iraq and Syria (ISIS) is approaching its "final stages." 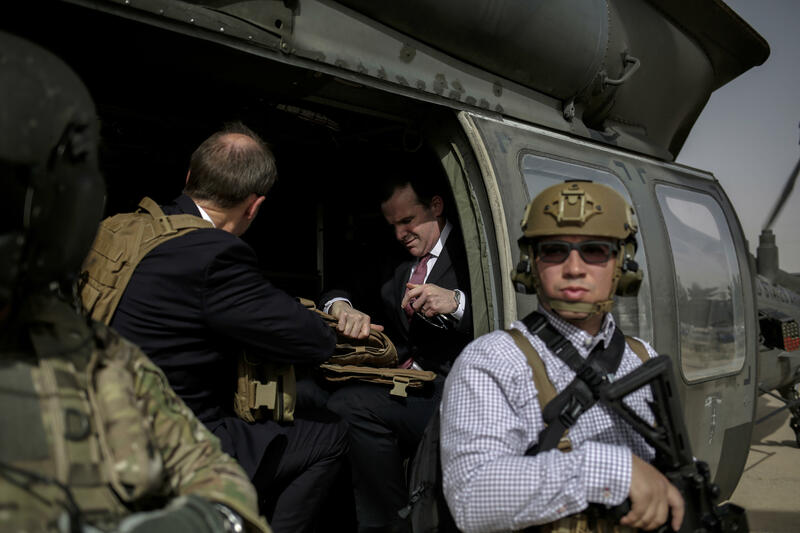 Brett McGurk, the special presidential envoy for the global coalition against ISIS, says Iraqi forces are "completely defeating" the Sunni Muslim extremist group in one of the most difficult urban battles since World War II. But he says local Iraqi officials say they will need more funding from the U.S. and others in the international community to rebuild in territory recently retaken from the extremists. McGurk spoke to The Associated Press from a water treatment plant south of Mosul where Iraqi forces closely backed by the U.S.-led coalition are slowly closing in on the remaining cluster of ISIS-held neighborhoods in the city's west.